IDMP partner organizations and IDMP cosponsors, WMO and GWP, will respond to the HelpDesk requests submitted here. The Australian Bureau of Meteorology is Australia’s national weather, climate and water information agency and one of the few organisations that touch the lives of all Australians and all Australia, every day. The Bureau operates under the Authority of the Meteorology Act 1955 and the Water Act 2017. Our products and services include observations, forecasts, warnings, analysis and advice covering Australia’s atmosphere, water, oceans and space environs. Our Vision: To be an organisation of global standing, that is highly valued by the community for our pivotal role in enabling a safe, prosperous, secure and healthy Australia. Our mission: To provide trusted, reliable and responsive weather, climate and ocean services for Australia – all day, every day. Our Focus: Our strategy is focused on four pillars of success, each given effect via whole-of-enterprise strategic objectives and associated actions. Impact and value: Products and services that benefit the Australian community and drive competitive advantage for business and industries. Operational excellence: Outstanding people, science, systems and infrastructure, working together for maximum simplicity, productivity and agility. Insight and innovation: Deep understanding, creative thinking and enduring partnerships that generate novel solutions for our customers and our organisation. The Bureau way: One enterprise, that is safe and diverse, where our people grow and are empowered to excel, and where our customers come first, trust us and consider that we are a pleasure to work with. Prepares bi-monthly catchment reports and annual water accounts describing water availability status. Collects, stores and provides free, Australian hydrometeorological data. The Drought Management Centre for Southeastern Europe (DMCSEE) was established to coordinate and facilitate the development, assessment, and application of drought risk management tools and policies in South-Eastern Europe with the goal of improving drought preparedness and reducing drought impacts. Its work is focused on monitoring and assessing drought as well as assessing risks and vulnerability connected to drought. DMCSEE has published a drought bulletin since spring 2010 and provides several monitoring products for South-Eastern Europe. DMCSEE is hosted by the Slovenian Environmental Agency (ARSO). Involved in several regional projects to enhance preparedness and mitigation action in the region including the IDMP CEE. The International Center for Agricultural Research in the Dry Areas (ICARDA) is a research center whose mandate is to promote agricultural development in the world’s dry areas, located predominantly in developing countries. The rise of droughts and desertification of agricultural land has intensified the work of ICARDA. ICARDA engages in the in-field delivery of its research outputs, specifically with helping to solve the obstacles faced by resource-poor farmers. The aims are to help alleviate the larger problems of food insecurity and poverty while promoting sustainable growth in agriculture. Some of the interventions on the field by ICARDA include helping with water harvesting, conservation agriculture, diversification of production systems, integrated crop/rangeland/livestock production systems, and the empowerment of rural women. Supports member countries in development of drought policies and climate change policies. International Water Management Institute (IWMI) is a scientific research organization working on the sustainable use of water and land resources in developing countries. IWMI aims to provide evidence-based solutions to sustainably manage water and land resources for food security, people’s livelihood and the environment. Based on various resources such as world water and climate atlas or drought monitoring systems, this Institute helps developing countries to adopt a more effective drought management through integration of policies, technologies and management systems. The IWMI, GWP and WMO are collaborating in the framework of the IDMP on the South Asia Drought Monitoring System. 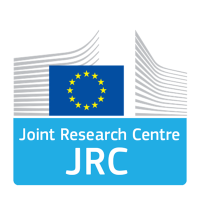 The Joint Research Centre (JRC) is the European Commission’s science and knowledge service which carries out research in order to provide independent scientific advice and support to EU policy making. Its scientific work supports a whole range of EU policies in a variety of areas from agriculture and food security, to environment and climate change, as well as nuclear safety and security and innovation and growth. As the European Commission’s knowledge and science service, the JRC plays a central role in creating, managing and making sense of collective scientific knowledge for better EU policies. It hosts special laboratories and other research facilities that directly contribute to policy making with their research, expertise, and findings. With respect to droughts, JRC works on diverse aspects of monitoring, assessing and forecasting droughts at spatial scales ranging from regional to global. This includes the assessment of drought exposure and vulnerability for different economic sectors in the frame of a pro-active risk management. On the operational side, the Joint Research Center developed and manages the European Drought Observatory (EDO), thereby providing fundamental information and data on droughts across the entire European continent. JRC also develops a Global Drought Observatory (GDO) in order to provide tools for the monitoring and forecasting of droughts and their likely impacts in different parts of the world. The Mexican Institute of Water Technology (IMTA) is a public institution that works to address challenges pertaining to water management and sustainability on a national and international level. Its efforts aim to develop new approaches for research and technological development to protect the natural water resources while creating an efficient and equitable management and usage among users and stakeholders. The primary objectives of IMTA are to contribute to the sustainable water management in Mexico through the improvement of knowledge, technology, training, and innovation. It searches to develop and raise awareness for the water sector along with its pre-determined goals. IMTA employs laboratories for the development of water technology, while offering technological services and other products to improve water quality, water management through hydrologic innovative methodologies, irrigation and drainage efficiency, and awareness of the use of water at all socio-economic levels through social sciences programs and methodologies. The United Nations Convention on Biological Diversity (CBD) was created in light of the international community’s growing commitment to sustainable development. Its aim is to conserve biological diversity, the sustainable use of its components, and the equitable sharing of the benefits of its genetic resources. The CBD adopted a Strategic Plan for Biodiversity for the years 2011-2020, including a specific set of targets to be reached by 2020. Some of the targets include reducing the loss of natural habitats, conserving 17 percent of terrestrial and inland water areas, and restoring at least 15 percent of degraded ecosystems, thereby contributing to climate change mitigation and adaptation and to combating desertification. The United Nations Development Programme (UNDP) works throughout the world to help countries to develop policies, leadership skills, partnering abilities, institutional capabilities and build resilience in order to sustain development results. UNDP focuses principally on three main issues namely; sustainable development, democratic governance and peacebuilding, and climate and disaster resilience. Through all their activities, UNDP encourages the respect of human rights and the empowerment of the most vulnerable communities. UNDP’s work on climate and disaster resilience consists on integrating issues of climate and disaster risk at the national level, and more particularly to build resilience and ensure that development remains risk-informed and sustainable. Through a risk assessment and other measures, UNDP undertakes multi-layered capacity building to prevent, mitigate and prepare for natural hazards such as droughts. For instance, the Programme provides assistance to establish early warning systems, design evacuation roads and strengthen infrastructure. The United Nations University Institute for Integrated Management of Material Fluxes and of Resources (UNU-FLORES) is a think tank and post-graduate teaching entity dedicated to knowledge creation and transfer through capacity development activities. Working at the interface between policy and science, its mission is to contribute to the resolution of the sustainable use and integrated management of environment resources. It aims to advance and develop integrated management strategies pertaining to environmental resources. Its vision is to promote the sustainable management and development of water, soil, and waste. It is a research institution committed to the dissemination of knowledge. Think tank applying a Nexus Approach to develop and evaluate resource management strategies. For more than forty years, the University of Southern Queensland (USQ) represents one of Australia’s leading education programs in Australia through on-campus, off-campus and online courses for local/home and international students. Representing an institution of higher learning and education, USQ plays a key role in advising and educating present and future leaders, professionals and policy makers. Additionally, through multi-disciplinary research programs such as the International Centre for Applied Climate Science (ICACS), this University provides the necessary resources to develop skills and knowledge to tackle various issues such as national and global climate sciences challenges and agricultural applications. To confront these issues, USQ provides strong underpinning scientific capabilities in the field and develop climate models as well as integrated climate/agricultural modeling and output. Since 1944, the World Bank represents a vital source of financial and technical assistance to developing countries around the world. This international financial institution helps developing countries to manage a wide range of sectors through policy advice, research and analysis, and technical assistance1. Furthermore, the World Bank supports countries to assess exposure to hazards and address disaster risk by promoting a comprehensive and multi-sector approach to managing disaster risk2. In particular, as a result of climate variability and change, more teams are being requested to support client countries on drought management and preparedness. These requests prove to be a challenge because the World Bank does not yet have a strategic approach to drought, which is not only a water issue but cuts across many sectors and takes considerable coordination and collaboration. Consequently, the World Bank is currently seeking connection of the teams across regions and sectors working on drought management in its different units, such as Water, Agriculture, Climate Change, Energy, Environment, Health, and Urban and Rural Resilience, to try to answer the practical challenges together, stimulate discussion, and support of knowledge and learning. For the same reasons, the World Bank is connected to the external international community of experts on drought management.